Lea, 1859, Proc. Acad. Nat. Sci. : 187 [as ‘Monocondylœa rhomboidea’]. Lea, 1860, Jour. Acad. Nat. Sci. : 263 , pl. 42, fig. 143. Type(s): SYNTYPES USNM_86329, Tigris R., near Bagdad, Asia. + Pseudodontopsis euphraticus (Bourguignat, 1852). — Haas (1969: 144). + Pseudodontopsis euphraticus (Bourguignat, 1852). — Haas (1940: 133). + Gabillotia euphratica var. churchilliana (Bourguignat, 1857). — Simpson (1914: 443). + Gabillotia euphratica var. churchillianus (Bourguignat, 1857). — Simpson (1900: 650). = Leguminaia rhomboidea (Lea). — Kobelt (1893: 94). = Pseudodon rhomboideus. — Servain (1890: 296). = Pseudodon rhomboideus (Lea, 1859). — Westerlund (1890: 183). 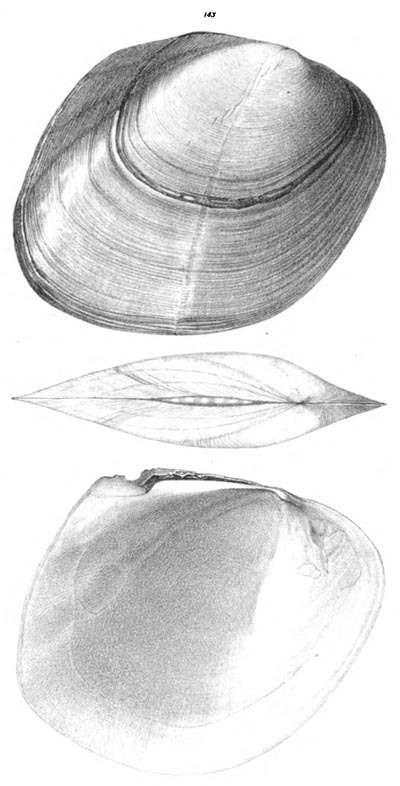 = Pseudodon rhomboideus. — Bourguignat (1880: 4). = Margaron (Monocondylœa) [sic] rhomboidea (Lea). — Lea (1870: 72). = Unio rhomboideus (Lea, 1859). — Sowerby (1868). = Monocondylea rhomboidea Lea. — Petit de la Saussaye (1865: 18). = Monocondylaea rhomboidea Lea. — Küster (1862: 304).